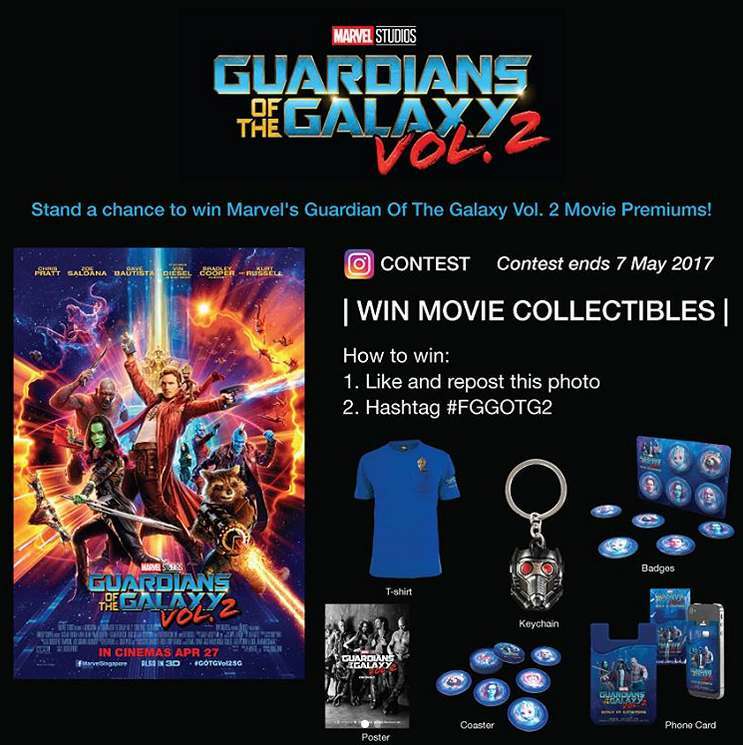 Stand a chance to win MARVEL’S GUARDIANS OF THE GALAXY VOL 2 Movie Hamper! Remember to set your account to Public so that we can view your entry! Find out more at Film Garde Cineplex.